I found a giant sunflower field not farm from my house. Going to have to spend some time there to get some good sunrise/sunset shots. Batteries on the flash died, so no flash. Really like the composition and great depth of field. Nice work! Great work in the field. Flash gels are thin colored filters to put over the flash to adjust it's white balance. In this case I used an orange gel to match the color of the setting sun. I love both photographs but the first one is special, in my view. Hummm,,,,,, Something is not quite right with the shot. 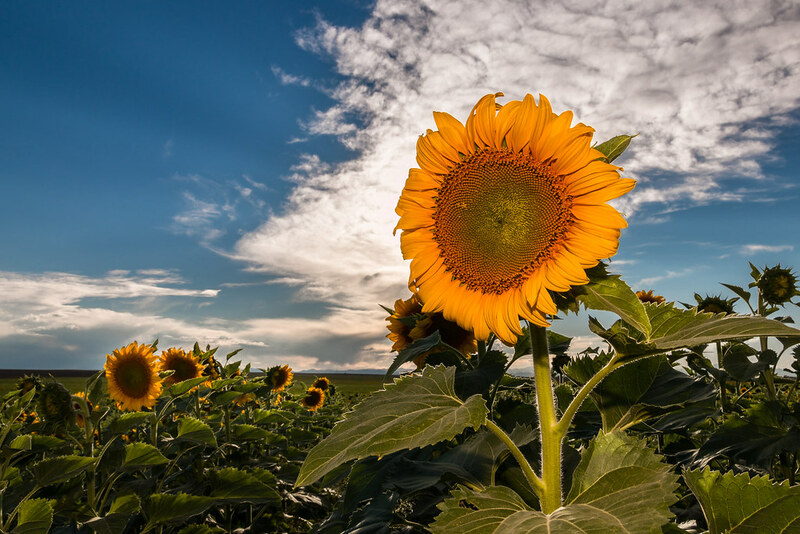 Since Sunflowers are heliotropic, which means they always follow to face the Sun, yet yours seem to be the only ones looking away. How did you manage that? Kim- Always good to meet another Montanan! I grew up in Missoula. Keith- It's been a while since I'd been to a sunflower field and had always thought they followed the sun during the day. These pictures were taken at sunset and the majority of the flowers were facing East. Great DOF really liked these shots! Nice pics,I think a few of the Sunflowers were just watching you. My brother in law resides in Missoula. I love the town though sometimes, when we've visited, my wife and I drove to Idaho just to see the sun. It can get bleak there and if you aren't used to it, you really need to see the sun. Great shots. Never thought to use a flash for flowers. 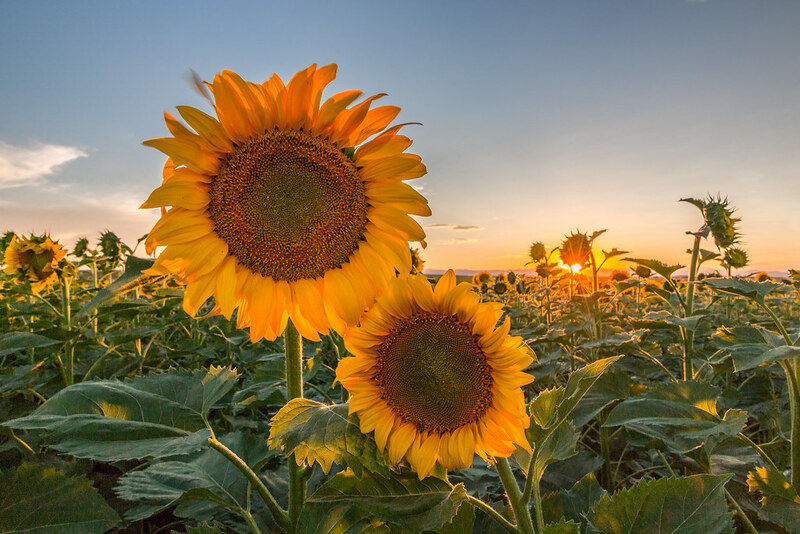 Sunflowers are heliotropic, but... they do not follow the sun with a full bloom.